These look WAY too yummy! I am a member of St. Gianna Parish in Lake St. Louis, MO. We are the first parish in the country to be named for her . . . and I just love her! I feel connected to her . . . I was looking for a way to celebrate her upcoming feast day . 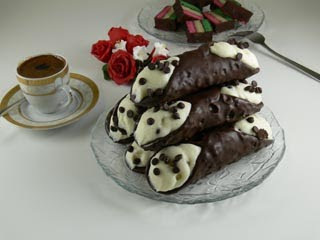 . . and I think I will make cannolis! Thank you for posting!